Comprehensive, timely, and relevant, this text offers an approach to discipline-specific literacy instruction that is aligned with the Common Core State Standards and the needs of teachers, students, and secondary schools across the nation. It is essential that teachers know how to provide instruction that both develops content and literacy knowledge and skills, and aims at reducing student achievement gaps. Building on the research-supported premise that discipline-specific reading instruction is key to achieving these goals, this text provides practical guidance and strategies for prospective and practicing content area teachers (and other educators) on how to prepare all students to succeed in college and the workforce. "Thorough, detailed, current, and research-based. Examples for each of the core subjects bring life to the content!" "The author does an effective job of making the case for literacy instruction change." Introduction: The Importance of Literacy in the Secondary Grades and in the Disciplines. 1. Preparing for Today and Tomorrow. 2. Literacy as a Discipline-Specific Instruction. 3. Reading Complex Texts Beyond the Textbook. 4. Rigorous Instruction in the Disciplines. 5. Vocabulary Learning and Instruction in the Disciplines. 6. Questioning and Comprehension in the Disciplines. 7. Discipline-Specific Comprehension Instruction. 8. Disciplinary Literacy Learning Environments. 9. Writing in the Disciplines. 10. Assessing Student Learning in the Disciplines. 11. Teaching Discipline-Specific Literacies and Professional Development. 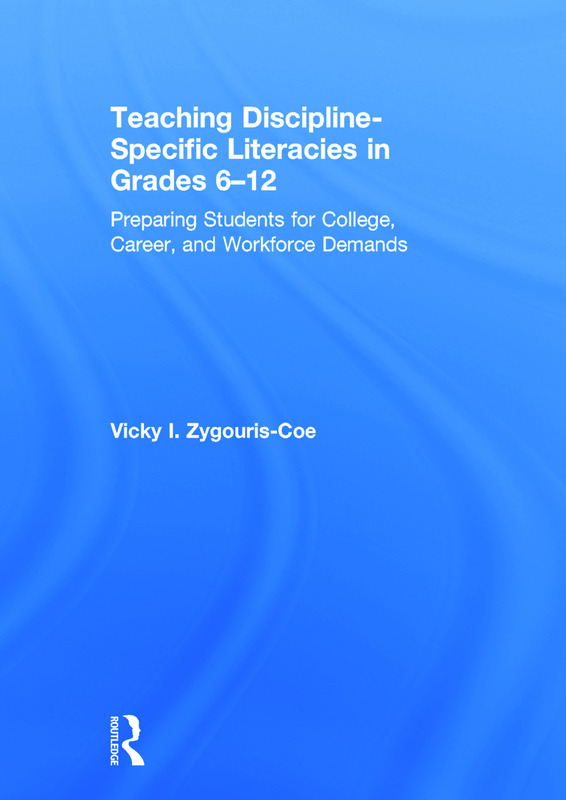 Vicky I. Zygouris-Coe is Professor of Reading Education and Program Coordinator for the Ph.D. in Reading Education Track of the College of Education & Human Performance, University of Central Florida, USA.